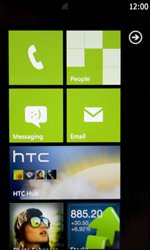 Settings for mobile internet cannot be sent to your HTC Trophy via SMS. You can configure your phone automatically for use by using the settings wizard. Click here for the step-by-step instructions.